An investigation by The Indian Express shows that Rs 275 crore was siphoned off from the Land Acquisition Department, while the Mukhyamantri Nagar Vikas Yojana and Health Department deposited Rs 10.26 crore and Rs 10.75 crore with Srijan respectively. 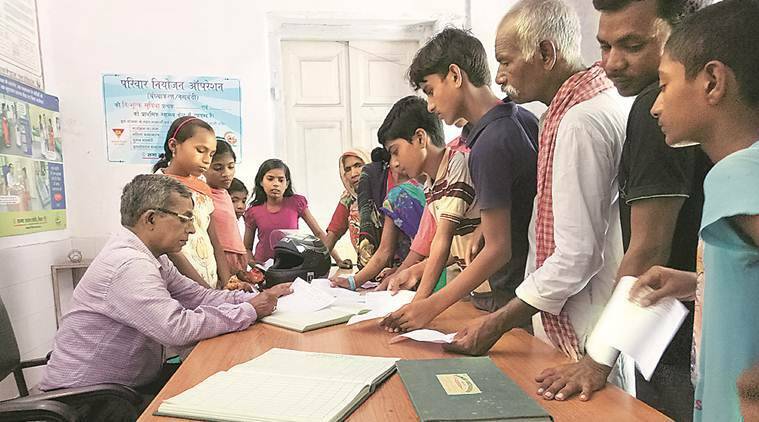 In the absence of government funds that remained parked illegally with the Srijan Mahila Vikas Sahyog Samiti, a primary health care centre in Sabour block has remained without antibiotics, an ultrasound machine and a woman doctor for years; over 150 farmers displaced due to the Pirpaiti power plant continue to wait for compensation; and over a dozen city bylanes and drains await repair and construction. Officials suspect that given the scale of the Rs 700-crore scam, many other such district schemes may well be stuck. An investigation by The Indian Express shows that Rs 275 crore was siphoned off from the Land Acquisition Department, while the Mukhyamantri Nagar Vikas Yojana and Health Department deposited Rs 10.26 crore and Rs 10.75 crore with Srijan respectively. As a registered society, Srijan was not authorised to function as a bank or accept such high-value deposits. The scam was exposed when a Rs 270-crore Land Acquisition Department cheque presented at Bank of Baroda bounced on August 4. Bhagalpur District Magistrate Aadesh Titarmare conducted an internal inquiry and found that the government account didn’t have funds, following which Chief Minister Nitish Kumar sent an Economic Offences Unit team to Bhagalpur. Nine FIRs have been filed in the case so far, and the number of arrests is up to 18. One of them died on Monday reportedly due to an illness. The Bhagalpur police on Sunday evening also raided premises of five associates of Srijan founder secretary Manorama Devi. The PHC at Sabour block town is located barely 500 metres from the Srijan office. A small line stands before Dr Ajay Kumar Singh at the out-patient department. As he examines the patients, Dr Singh says he can prescribe from only among 10-odd medicines to his patients, mainly paracetamol, vitamin tablets, cough syrup, ointments, eye or ear drops. Though the PHC has antibiotics for children, these are not available for adults, and he asks several to buy them from the open market. The PHC gets about 100 patients daily (except Sunday). Dr Singh directed queries regarding “constraints” to PHC in-charge Dr Rajkumar Choudhary, who was on leave. Between 2008 and 2011, the state government acquired 988 acres for setting up the Pirpaiti power plant. Originally planned as a thermal plant, it will now be a 1,338-acre solar power unit. Among the 969 local farmers who gave their land for the project, 150 are yet to get compensation, ranging from amounts Rs 30 lakh to Rs 1 crore. Munna Singh, who is due Rs 70 lakh for his land, says the department had been delaying payment on some excuse or the other. “They claimed there was no money. Now, after the Srijan scam expose, we know why. We need the money and will not allow construction at the power plant site till all farmers get compensation,” says Singh. Sheikh Azmat, who is to receive Rs 50 lakh, says the delay in compensation money has affected their plans for their fields as well as education of their children. The state’s pet town planning scheme promises road and drains repair and construction, besides construction of pavements and development of parks. Bhagalpur has 51 wards, and work on their roads and drains largely depends on the availability and sanction of funds under the flagship scheme. An open drain running along the boundary wall of Bhagalpur Central Cooperative Bank is an example of what the scheme has actually come to. The bank incidentally is also being investigated for transferring Rs 48 crore to Srijan. A Collectorate official cited the Srijan scam to say why they couldn’t be of more help. They were busy providing documents to police, he claimed. “Even routine meetings are not being held. We can take questions after the Srijan dust settles a bit,” said a senior Bhagalpur officer. Welfare Department clerk-grade official Mahesh Mandal, who had been arrested in connection with the Srijan scam, died of kidney failure at Bhagalpur’s Mayaganj hospital on Monday. He had been put on dialysis soon after his arrest last week. Mandal, 57, who needed dialysis every three-four days, would go for treatment to Mumbai, with the family spending Rs 1 lakh per month on flights from Patna. His son Shiv Mandal is a JD(U) leader. Denying the charges, Bhagalpur SSP Manoj Kumar said: “We admitted Mandal to hospital soon after his arrest.” A Mayaganj hospital official said postmortem had revealed water in Mandal’s lungs, reported in case of renal complications.